Thirty-five contemporary Western artists will reconvene at the Gilcrease Museum's Rendezvous Renion for its annual exhibition and sale. Garnering national attention, the exhibit will draw viewers and collectors looking for painting, sculpture and other works. 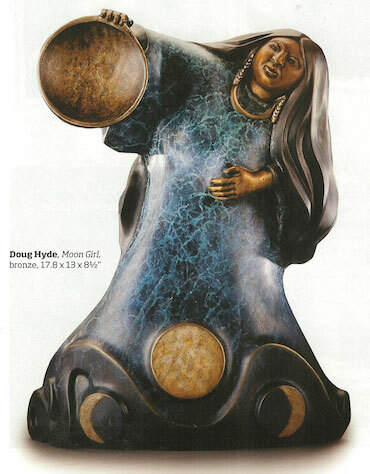 "As a direct result of the caliber of artists that Gilcrease Museum has been privileged to feature over the years, the Rendezvous Exhibition and Art Sale has achieved an extensive and loyal national following," says Duane H. King, executive director of Gilcrease Museum. "We are fortunate to once again be able to share with a broader audience the finest artwork created by these renowned contemporary Western artists during the event in April." Featured artists Cyrus Afsary, Veryl Goodnight, Gerald Balciar, Tim Shinabarger, Richard Greeves, Paul Calle, Jim Wilcox, John Coleman, and Sandy Scott will showcasework alongside many talented others. Excitement for the upcoming show has many abuzz. 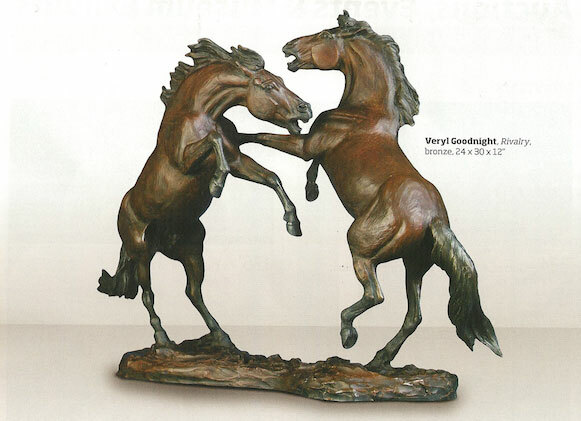 Sculptor Veryl Goodnight remarks of her peers, "I am thrilled to have the opportunity to return to the Gilcrease and to show with many of the artists for whom I have the highest regard...The Gilcrease has an excellent staff that doesn an extraordinary job of displaying the art to its best advantage. Artists and collectors are treated like royalty." Rendezvous Reunion is sponsored by The Zarrow Families Foundation, and proceeds will be used for acquisition for the museum's permanent collection.